Attention All Gardeners! 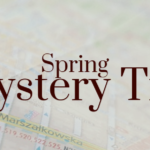 JH Travel has planned a special one day trip visiting Groth’s Gardens & Greenhouse, Hilltop Gardens & Greenhouses, Ellis Greenhouse, The Garden Barn & Created in Johnston! 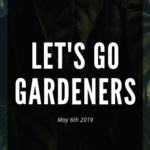 We are also offering an additional one day garden trip on May 9, 2018 (different greenhouses) – when making reservations be sure to share which date you are making reservations for. After a morning snack along the way our first stop will be at Groth’s Gardens & Greenhouse located by Winterset. The greenhouse is located on the family’s Iowa Century Farm and are known for their hanging baskets (which they grow all the baskets displayed around the city of Winterset) , plants for containers, perennials that will grow in Iowa and tropical’s. 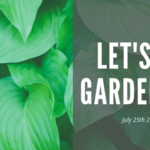 Our next greenhouse stop is located by Lorimar which is Hilltop Gardens and Greenhouses which will also be providing a lunch for the JH Travel gardener gang! They are well known for the variety of goods housed in the gift shop, hanging baskets and the amount of flowers offered in the greenhouses. We then travel onto Lucas to visit Ellis Greenhouse. Kari, the owner is known for offering a large variety of vegetable plants as well as bedding plants, gift items and terrarium supplies. Our next two stops will feature items we can display in our gardens! First stop is The Garden Barn by Indianola which features artistic accents for home & garden and nature inspired products. Traveling onto Johnston we will visit Created in Johnston which produce high quality concrete statuary in various sizes, designs and finishes. A tour showing the pouring of the concrete into forms, spraying on the base coat with hand painting and the different stages of painting to a finished product ready to be sold. Before departing the area our coach will be stopping to pick our “rolling” evening meal at Subway before we begin our journey back to Newton.